Nowadays the village pump on the Green is a bit of a novelty and something for the kids to climb on. But in past years it was a very important part of village life. 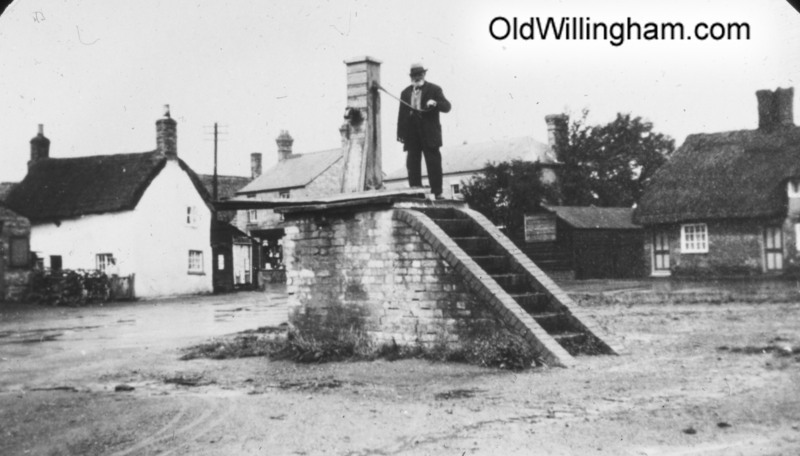 This month we see a photo of the pump in the early 1900’s. We don’t know why this was taken or who the man is – although he is smartly dressed and likely to be someone respectable. The pump is quite similar to today but the whole area is a sea of mud due to the constant traffic of people and cart coming to get water. Piped water did not start to arrive until the tower was built on Station Rd in 1912 and it was decades before everyone had piped water to their homes.